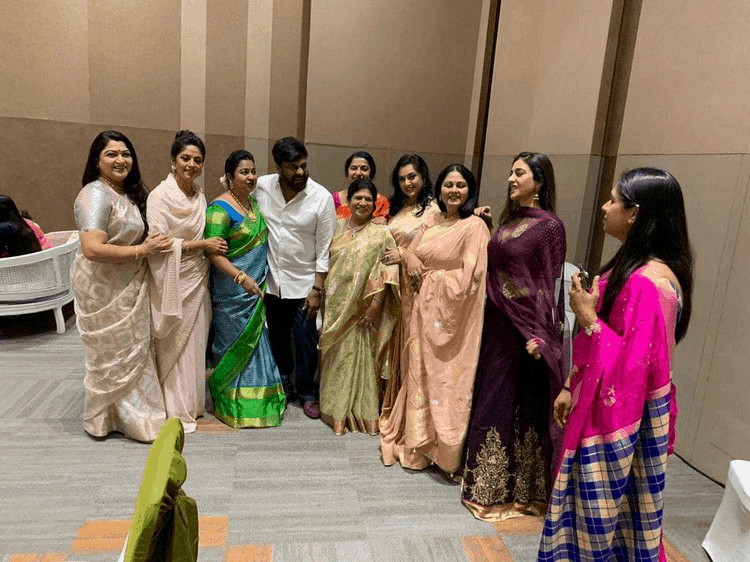 Aashritha and Vinayak Reddy's Wedding Reception! 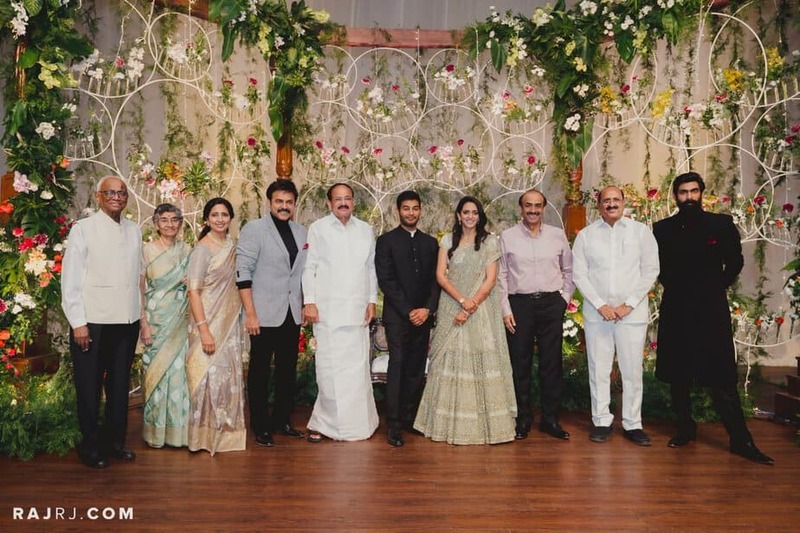 Real Weddings Venkatesh daughter Aashritha’s wedding reception! 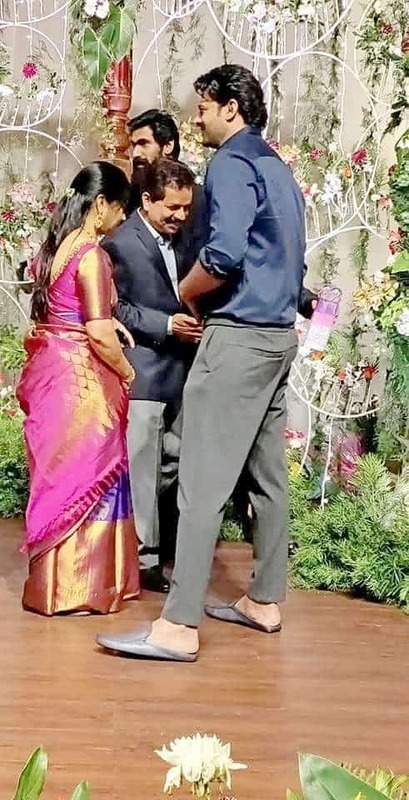 Following a grand wedding in Jaipur, Venkatesh hosted a lavish reception for daughter Aashritha and son-in-law Vinayak Reddy in Hyderabad on March 28th. 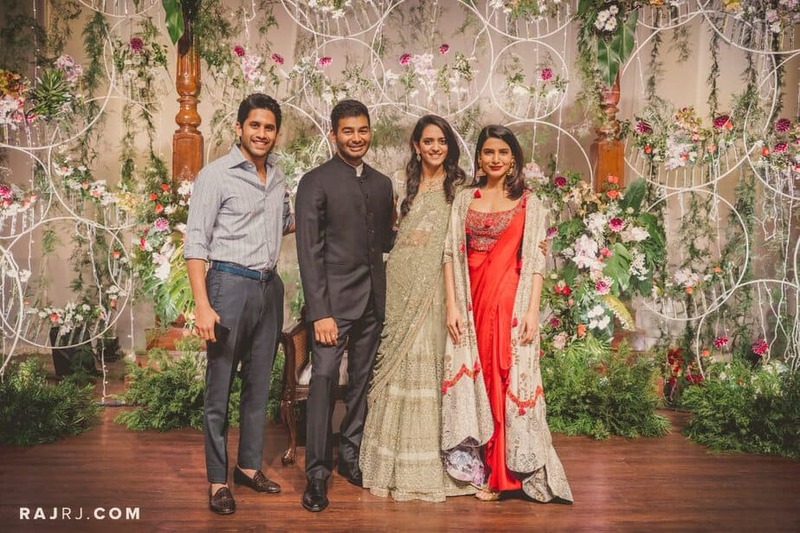 Aashritha looked beautiful in a pastel green embellished lehenga paired with diamond jewellery while Vinayak opted for a grey suit. 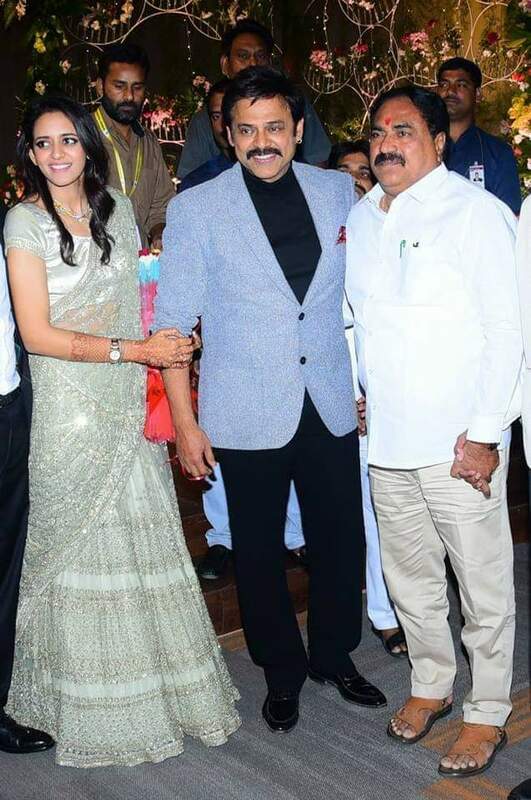 Samantha was seen in a red draped saree paired with an ivory embroidered jacket by Anamika Khanna. 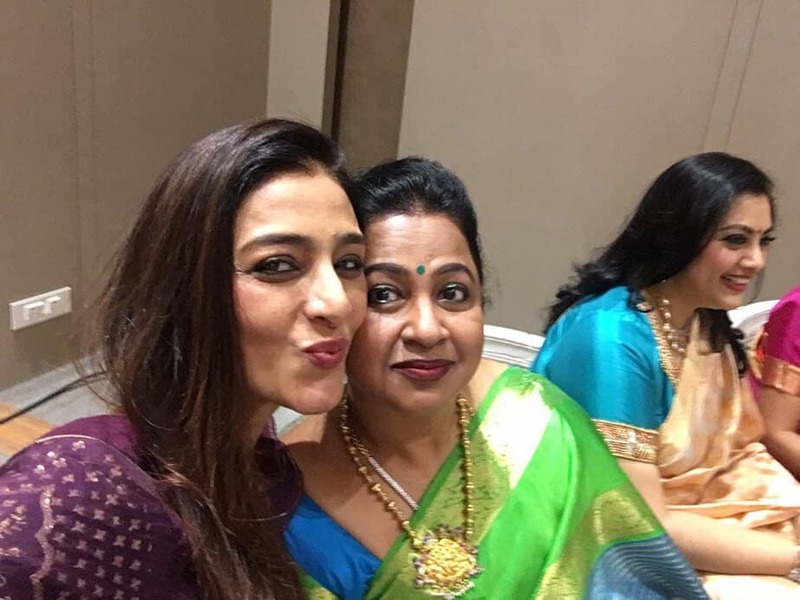 Statement gold jhumkas and bold red lip completed her look!